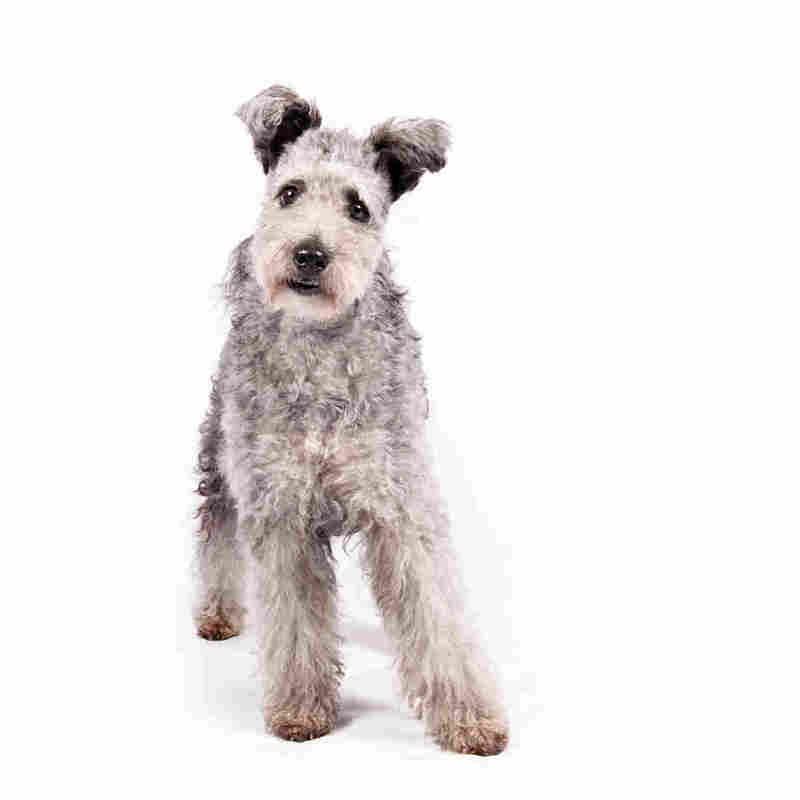 Pumi Dog Breed Recognized By American Kennel Club : The Two-Way The American Kennel Club says it is officially granting full status to the pumi, a herding breed originally from Hungary. It opens the door for the breed to compete at the Westminster Dog Show. 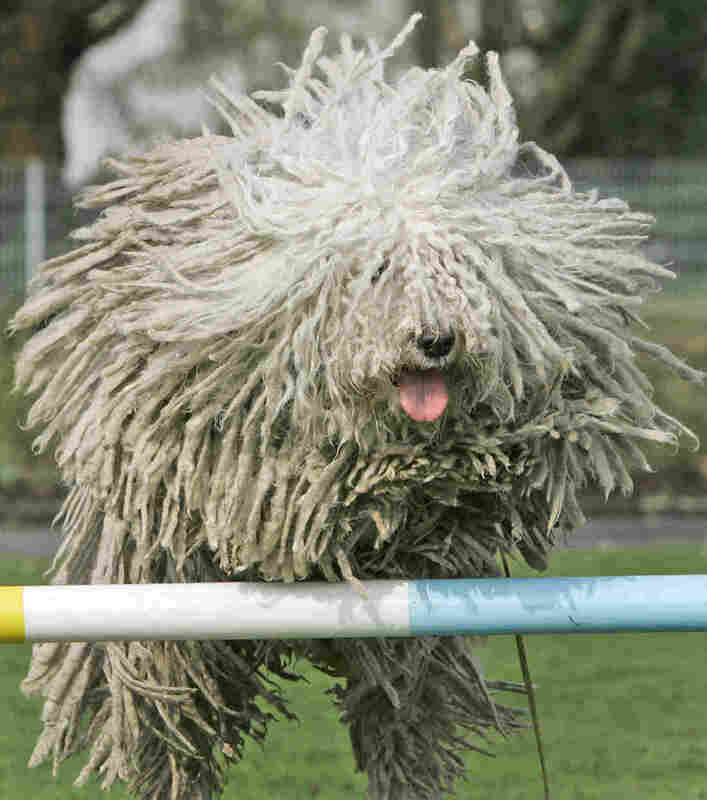 The pumi, a high-energy Hungarian herding dog, is the latest new breed headed to the Westminster Kennel Club and many other U.S. dog shows. The American Kennel Club says it is officially granting full status to the pumi, a herding breed originally from Hungary. It's the 190th breed recognized by the AKC, the "largest purebred dog registry in the world," which oversees some 22,000 events annually. This opens the door for the energetic canine known for its "whimsical expression" to compete in the Westminster Kennel Club Dog Show for the first time. To learn more about the lengthy process of obtaining full recognition from the AKC, The Two-Way spoke with Chris Levy, president of the Hungarian Pumi Club of America and one of the pumi's biggest advocates. Levy herself has eight adult pumik (that's the plural) and a puppy. She says today's decision is the culmination of 17 years of work on this breed and means that the pumi will have its first chance to win "best in show." "It's amazing. I don't know what I'm going to do on that first day, when we can actually get a blue ribbon," Levy says. The breed is recognized in much of the rest of the world, Levy says, but is a relative newcomer to the U.S. Levy imported her first pumi after seeing them at the World Dog Show and "falling in love." Since then, she's been working to gain recognition for the breed in the U.S. She started the parent club for the breed, which is a requirement, in 2005. AKC requires a base of "solid owners and breeders in this country before they will recognize the breed," she explains. Levy bred litters and placed puppies and so did others, she says, but it was a slow process to reach critical mass. Recognition from the AKC comes down to a "magic number" of dogs registered in the country — 300. They crossed that threshold last May, she says. Once 150 pumik were registered, the breed was able to enter U.S. dog competitions in the "miscellaneous" class. That's for breeds "in the recognition process," Levy says. That includes obedience, agility, rally and herding trials. Their six years in that class provided the opportunity for pumi owners to "educate the judges and the other exhibitors on the breed." While in the miscellaneous group, the pumi was barred from the conformation shows — aka the beauty contest, where judges evaluate the dog's "overall appearance and structure." Now that it's received full status, pumik can compete in the herding group rather than the miscellaneous category. That means that for the first time, the breed could win best in show. "Thery're so smart, so eager to please, active, they just love life. They're very forgiving, they don't hold a grudge, they're easy to train. ... They need daily exercise and they also need mental stimulation. This is not a breed that will just lay around all day." They're a herding dog, she says, bred to take direction from a shepherd. Levy adds: "That's the kind of temperament they have, they're very focused on their people." They have a short, corkscrew coat and can be black, white, gray or "shades of fawn from pale cream to red," according to the AKC. You can see a pumi herding sheep in the video below, and the action picks up at around the 1-minute mark.